From classic chili to bisques to good ol' gumbo, this collection of soups and stews from Gooseberry Patch is sure to warm you from head to toe. The cheese and potatoes in this soup makes a wonderful, winter comfort food. This 6-ingredient recipe for Classic French Onion Soup is a simple solution for a French favorite. Tomato sauce and grated Parmesan cheese make a creamy base for this tomato tortellini soup recipe that can be prepared in less than 20 minutes. 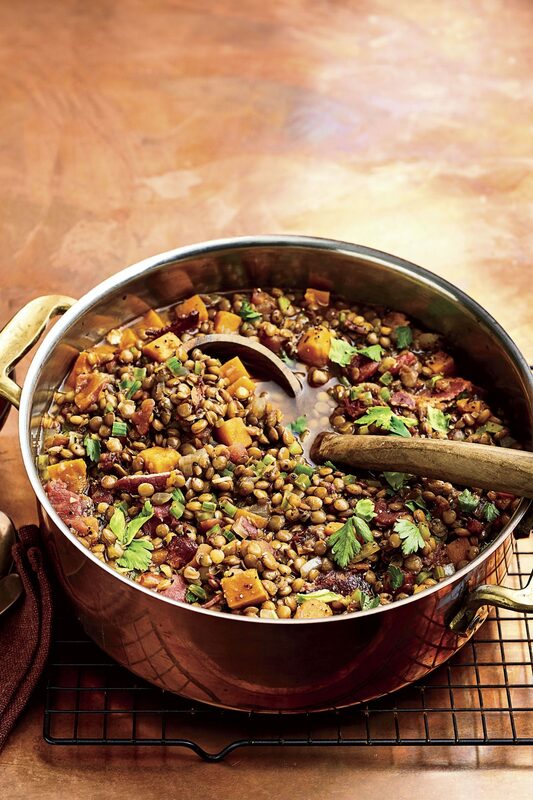 Enjoy this Bean Soup recipe for a fall family dinner. The surprise ingredient is peanut butter and it adds a rich and creamy texture to the soup. Cozy up with Christmas Eve Soup. Watch the snow fall and the lights twinkle, savoring the holiday season. Make a big pot of Unstuffed Green Pepper Soup any day of the week for a delicious and hearty meal the whole family will love. Tami's Taco Soup is a perfect mexican-inspired soup for a cold night. 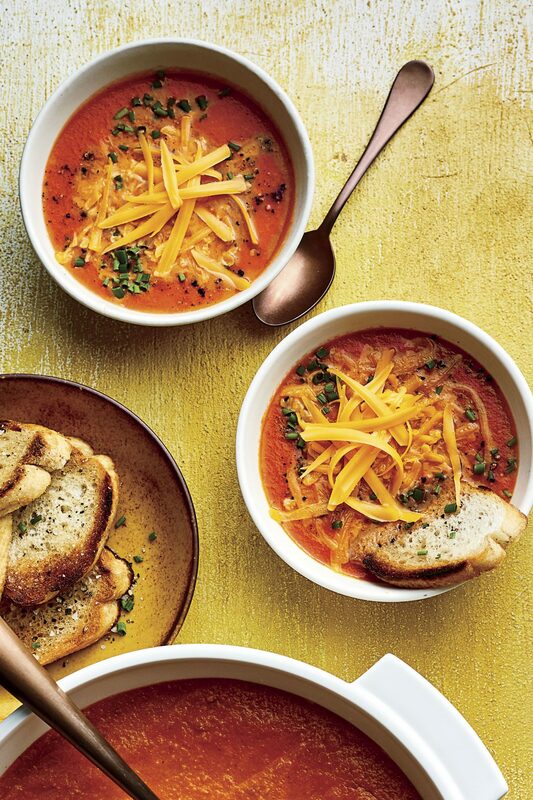 Add a bit of grated cheese and garnish with tortilla strips and this simple soup will become a fast favorite. This heaty Italian Sausage & Vegetable Soup will wisk you away to the warm, Italian countryside with one bite. This stick-to-your-bones potato soup has only 5 ingredients, making it a quick-fix for a warm, weeknight meal. If you are a fan of the sandwich, you will love this creamy reuben soup. With simple and tasty ingredients, you can have a warm bowl in mere minutes. Substitute this Chicken-Tortellini Soup for ordinairy chicken noodle soup. It's just as easy and equally soothing. Thanks to the hearty ingredients this soup offers, appetites are sure to be satisfied. Here's a meatless version of a tradional dish in Cincinnati. Tons of kidney beans keep it hearty and filling. Yummy soup that's ready in a flash, this recipe is bursting with classic Mexican flavors from ingredients like fresh cilantro and lime juice. Your meat, veggies and bread are all combined in one hearty stew! Sour cream and whipping cream are stirred into this chili, making it extra rich and creamy. Rotate white chili into your menu as a substitute for chili with beef and kidney beans. 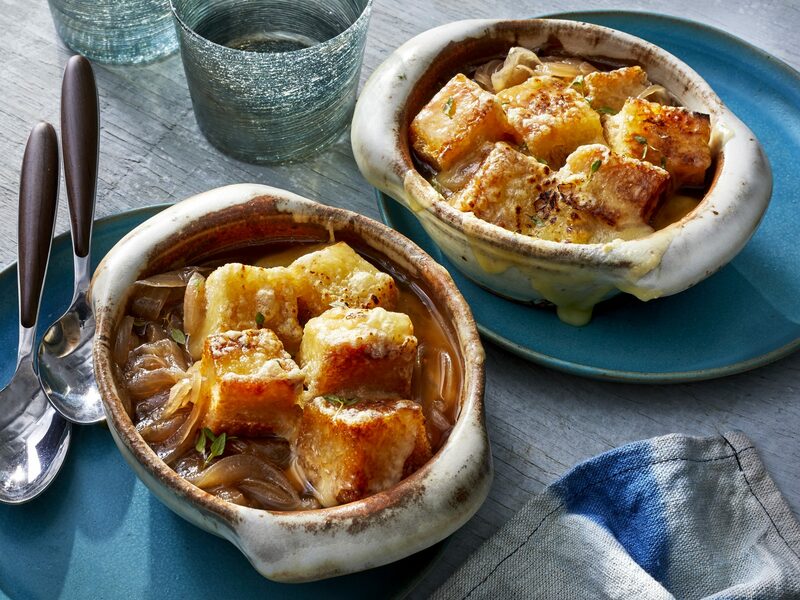 Topped with French bread and gruyere cheese, this classic onion soup will soon become a family favorite. Be sure to make extra because they're bound to ask for seconds. 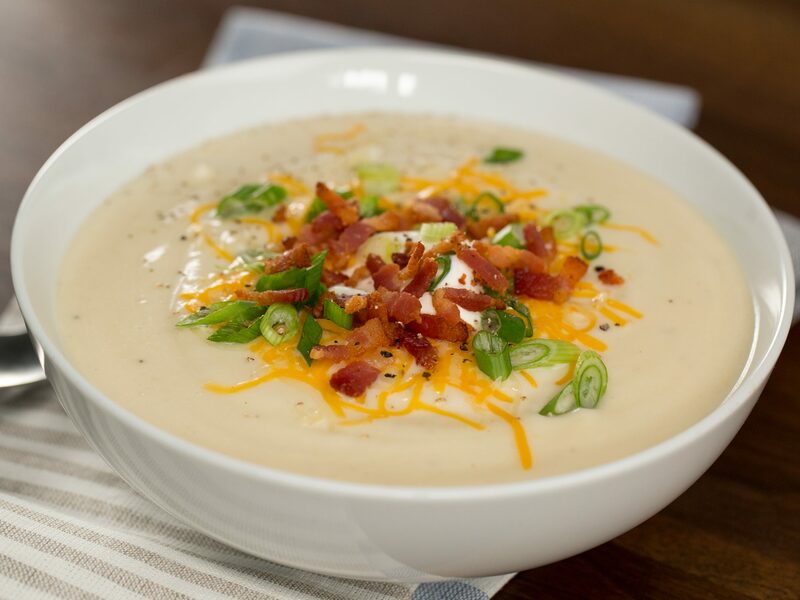 This family-pleaser is the popular loaded and stuffed baked potato...soup style! 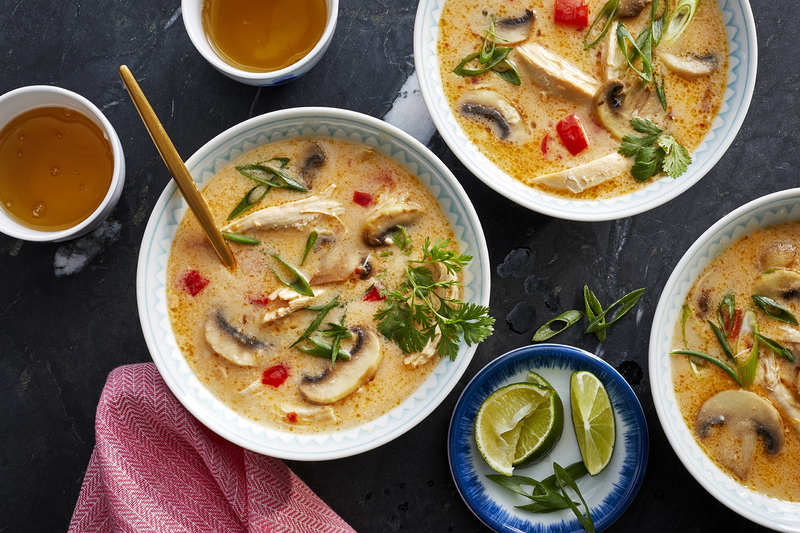 Don't let a cold be the only reason you serve this chicken soup...it's perfct year 'round! Though you probably won't see this recipe on the menu at many weddings, it is a tradional Italian soup that's often served for holidays and other special events. Refrigerated biscuits make this ultimate comfort food ever so easy! Turkey is a great substitute for the typical beef found in red chili, and you'll love how easy this one-pot meal from Gooseberry Patch is! A package of mini cheese ravioli make this minestrone soup a fun and tasty twist on the classic. Lots of beans and veggies make it super hearty and healthy. All the ingredients of your favorite cheeseburger are included in this chunky soup the family is sure to love. Enjoy the spicy taste of this delicious, hearty chowder filled with sausage and vegetables. Topped with buttery fresh-baked croutons, here is a tomato soup that is anything but ordinary. This recipe is a lifesaver on busy days...just pop it in the oven and finish up your to-do list! This rich and creamy soup gets a kick of flavor from a bit of curry powder. Top with ham for an elegant beginning to a holiday meal that is sure to be a crowd pleaser. Serve this spicy version of a classic chili dish with crunchy tortilla chips or a pan of warm cornbread. There's a reason chicken soup is a classic, and this version from Gooseberry Patch that calls for flavorful, juicy chicken thighs and the classic egg noodles is sure to be your go-to recipe. This cheesy and delicous soup calls for just five ingredients, six if you make the fun biscuit bowls that kids of all ages will love. 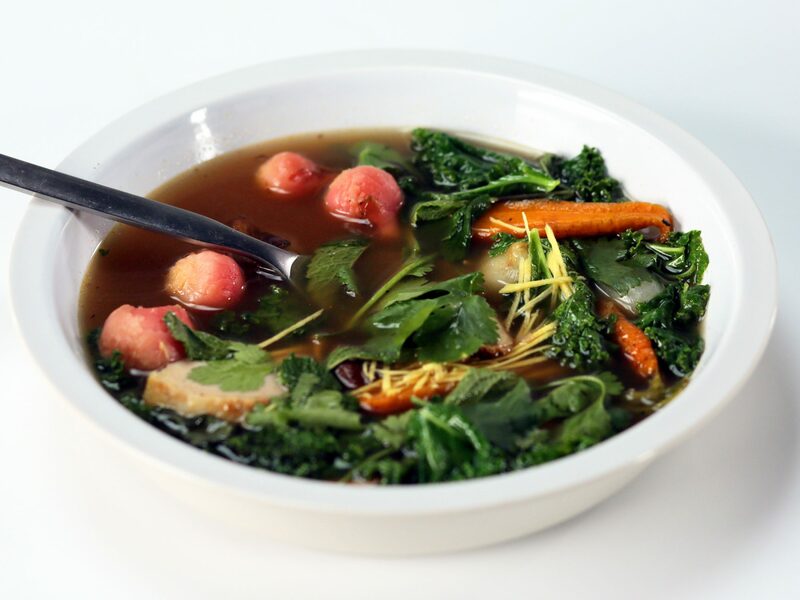 Garnish each bowl of this soup with a little extra crispy bacon...yummy! A rich and flavorful soup that will warm you from head to toe! Spicy, but not too hot, it's a nice change from traditional rice soups. Dumplings created with cornmeal and fresh cilantro make this chili extra special and so satisfying. The whole famliy is sure to love this creamy and delicious crabmeat bisque. Fork-tender and richly flavored, this beef stew recipe is one you'll keep coming back to. Full of onions, potatoes, carrots, and turnips, it's going to satisfy any appetite. Add bacon, garlic and chiles to a classic soup recipe and you get this delicious variation! 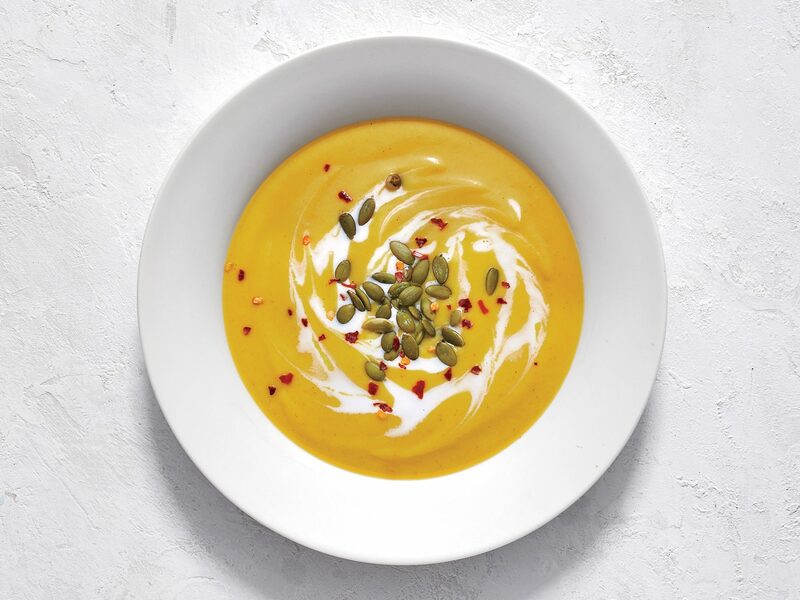 This smooth and rich butternut squash soup is sure to be a family favorite, with flavors of garlic and allspice. Gooseberry Patch's take on the classic chili is perfect for warming up after a day of making snowmen and having snowball fights.